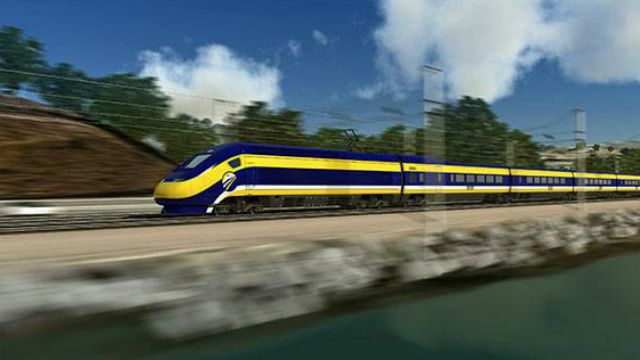 The board overseeing construction of a planned high-speed rail line from San Francisco to San Diego announced Thursday that instead of starting with a segment between Burbank and Merced, the first phase will instead be in Northern California. A draft business plan released by the High Speed Rail Authority shifted the first phase of construction to a stretch between San Jose and Bakersfield.. Assembly Speaker-elect Anthony Rendon, who represents a district in Los Angeles County, said he was concerned by the move. He said the Assembly Transportation Committee will review the business plan at a March 28 hearing. Other lawmakers, however, said the shift represents more trouble for the much-debated bullet train, which has seen its budget balloon from an originally $40 billion to more than $60 billion. State officials said the Northern California segment will be easier to advance. The originally planned stretch from Burbank to Merced was initially scheduled to be completed by 2022, but was beset by funding issues and political opposition. The draft plan now calls for the first Northern California segment by 2025.